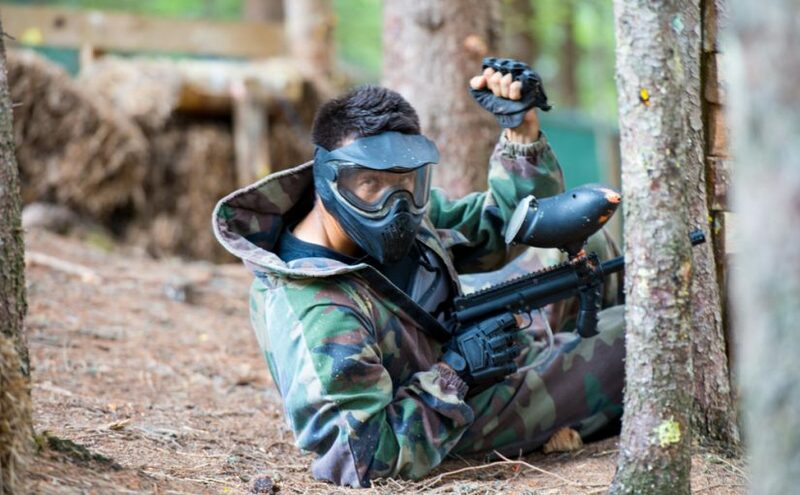 Safety is of utmost importance in any paintball game simply because the markers can cause quite a high degree of pain and discomfort when used inappropriately. As such, masks have been a crucial part of the safety and enjoyment of the game. Masks on is a rule that is observed in most, if not all of the games. This basically requires all personnel in the playing area to have their masks on at all times. One exception to this is when all markers or guns within the playing area have barrel blocks, them masks could be taken off. However, keeping masks on while in the playing will help keep you away from harm. These paintball markers fire at pretty high speeds and packs in power. As such, there are gameplays that observe a minimum distance where you cannot shoot an opponent. This usually depends on the field, regulation, and rules set forth prior to the game. However, it could be anywhere from 15 to 20 feet. This means that if you happen to walk up on an opponent within that distance, you cannot shoot them. There are fields that use a surrender rule. It basically requires the attacking party to give their opponent the chance to surrender before shooting them. For instances where you are able to sneak up to an opponent in close range, you can tap them with your marker referred to as a barrel tap. 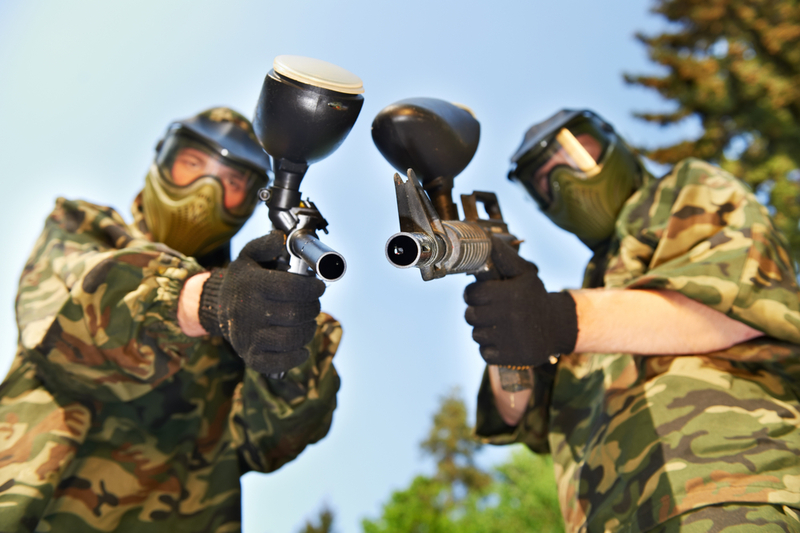 It is highly discouraged in most paintball playing fields to overshoot an opponent. This simply means that you repeatedly shoot an already eliminated player from the field. This is dangerous for the opposing player as well as other players around them. Ramping is another thing players do on the field. This is possible with some of the more advanced and electronic markers in the games today. It simply means that your marker or gun is firing off paintballs faster than how you pull the trigger. For some, there is a code on the gun known only to the owner. This is frowned upon in games however, there are certain tournaments that would allow this on the field. This is one of the ways players cheat while on the paintball field. As much as the honor code of leaving the playing field when hit is espoused, there are some players that try to wipe the paint off of their uniform to make it look like they haven’t been hit. This could allow them to stay in the game. Being caught out by referees carry heavy penalties such as the “3-for-1” rule. This means the wiping player plus two more players nearest them will be out of the game. 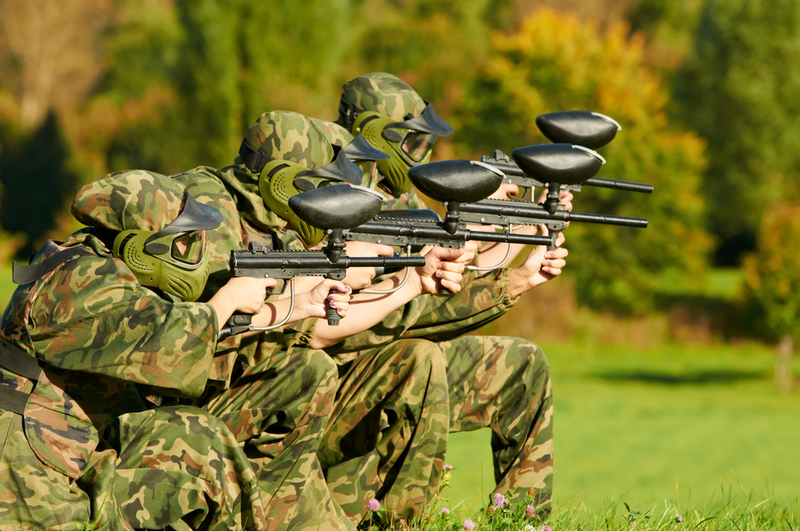 There are a lot more types of game rules which need to be enforced during a paintball game. The best thing to do is to have a little common sense where it can prevent a lot if injury on the field. If you ever start to wonder if something seems to be a good idea, it probably isn’t.